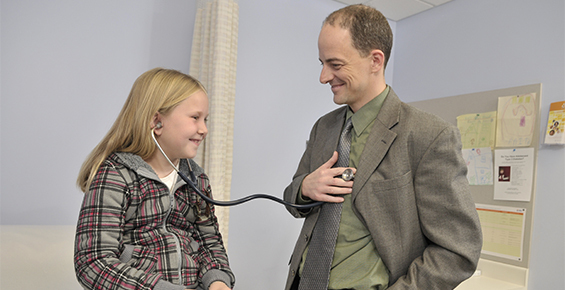 Louis Philipson, MD, PhD, FACP, received a grant from the National Institutes of Heath (NIH) to establish a TrialNet Clinical Center in Chicago. TrialNet is an international network of researchers who are exploring ways to prevent, delay and reverse the progression of type 1 diabetes. 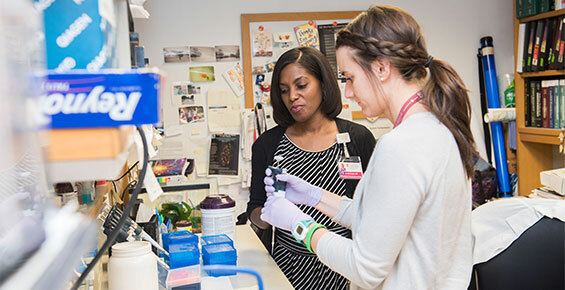 As part of this work, Dr. Philipson screens family members of individuals with type 1 diabetes to see if they are at risk for developing the disease and to see if they can prevent it. Contact us at diabetes@uchospitals.edu to learn how your family can participate. One clinical trial currently underway looks at the links between sleep habits and diabetes risks in teens. We hope to find out how a teen’s sleep routine affects his or her risk for developing diabetes later in life. We are also researching how to tackle the rise of obesity in young people. An overweight child has a higher risk of developing type 2 diabetes — this is particularly true for minority populations, including African-Americans. To help address this issue, we developed a community-based family nutrition and exercise program called Reach In! Reach Out! that aims to decrease diabetes risk in overweight African-American youth. Health educators from the community help families learn to count calories, reduce dietary fat and select healthier foods. Families also learn to add more activity to their lifestyle, including aerobic exercise and weight training. Early results indicate that this program can help young people reduce their body mass index, a measure of their weight. Kids with monogenic diabetes (MODY) — about 2 percent of all diabetes patients — are often misdiagnosed with type 1 or type 2 diabetes and, consequently, receive inappropriate treatment. Rochelle Naylor, MD, whose research focuses on MODY, is trying to get people with MODY correctly diagnosed with genetic testing. Her other goal is to create a clinical decision tool to help diagnose and treat MODY in the multi-ethnic US population, including African-Americans, Latinos, and other minorities who have been underrepresented in studies of MODY. Read more about Naylor's work.